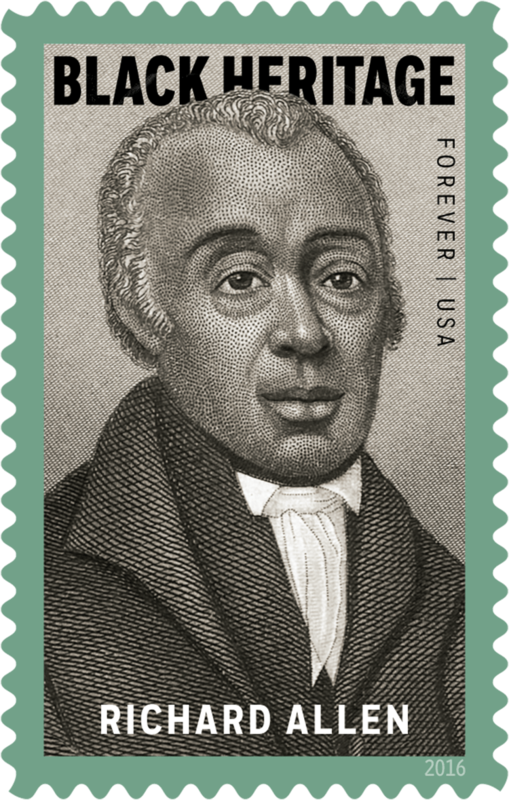 The 39th stamp in the Black Heritage series commemorates preacher, activist, and civic leader Richard Allen (1760-1831), an inspiring figure whose life and work resonate profoundly in American history. This stamp coincides with the 200th anniversary of Allen's founding of the African Methodist Episcopal (AME) Church, one of the most important institutions in African-American life, and his election and consecration as its first bishop. The Richard Allen stamp is being issued as a Forever® stamp. This Forever stamp will always be equal in value to the current First-Class Mail® one-ounce price. Bishop McKinley Young, from the 3rd District, will replace Bishop John Richard Bryant as the Senior Bishop for the African Methodist Episcopal Church.